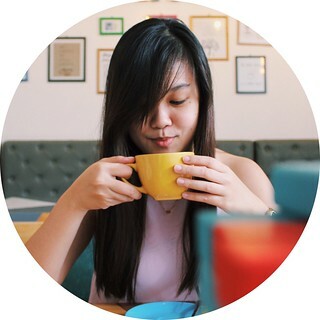 I consider Megamall as one of the best places to visit if you’re planning on having a very pleasant and sweat-free food crawl because of the numerous restaurants that stormed the mall. 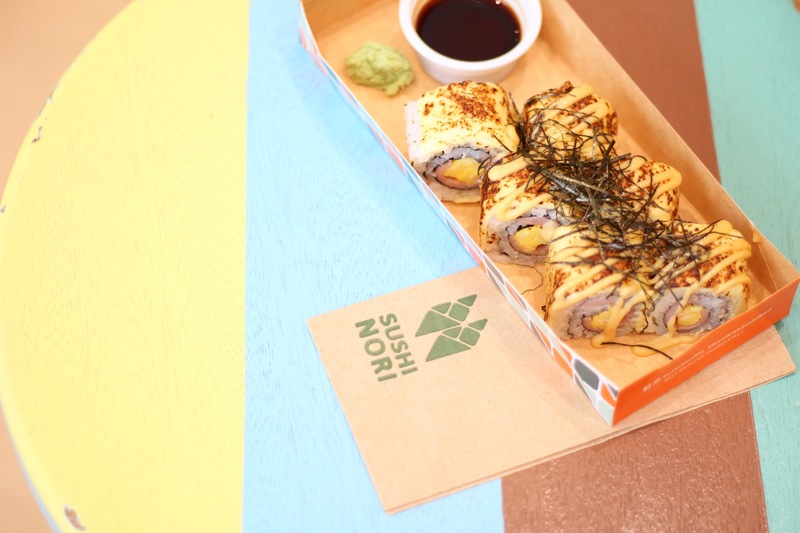 I braved the traffic in Edsa last Tuesday morning to get a chance to try some of this mall’s newest and most talked about restaurants and stalls, and one of my stops was Sushi Nori. The menu of the sushi store is pretty basic, showing you everything you need to know in one board, and the options between the temaki roll, the sushi roll, or the salad. And from this, the item that really caught my attention was their ninja roll. The ninja roll is found under Sushi Nori’s deluxe flavors. 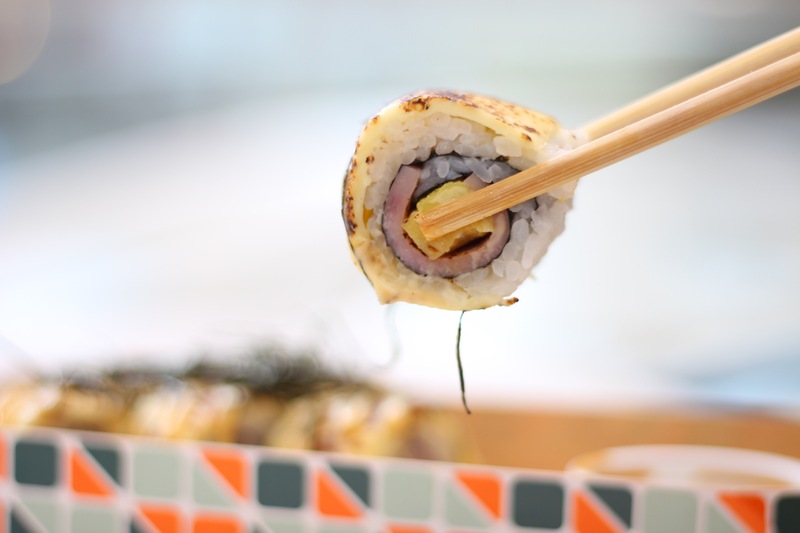 It contains tamago, blow-torched cheese and ham, topped with nori strips. I liked how I was blown with my first bite. It was like this sushi roll has taken me back to my childhood of loving everything ham and cheese. The sweetness of the ham coupled with the creaminess of the cheese is something I didn’t expect from a Japanese sushi roll. It’s perfect for the kids-at-heart and for the adults who just don’t want to feel like they’re growing up. I’m coming back for more, and I’ll probably try their other flavors. 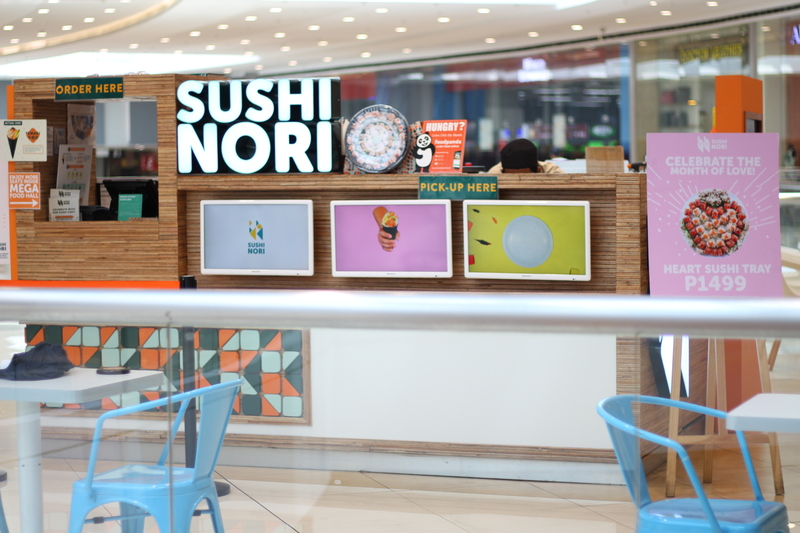 Sushi Nori is a small stall located in the middle of the fifth floor of SM Megamall’s mega fashion hall, near the skating rink.